What happens to him if something happens to you? In 2011, entrepreneur and Columbus Ohio native, Nick Braun adopted a rescue lab mix and named him Beau. Beau quickly became a member of the family. So, it’s only natural he would want to take care of him just like any other family member. That included health insurance (Nick created petinsurancequotes.com) but also making provisions for Beau in the event something should happen to Nick. 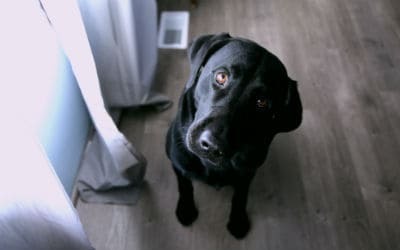 For many people, it’s a multistep process to make sure the designated caregivers have the financial support and guidance they need to assume care of your beloved pet. You can’t just say, ‘Hey Dad, can you take the dog if something happens?’, but that’s exactly what most pet owners do (if anything at all). Including your pet into your estate plan can help ensure they receive a continued high level of care should you die before they do. Having them listed in your estate plan could also keep them out of a shelter, which is where many pets end up after their owners die. When thinking about choosing a caregiver for pets, you should consider whether that person is willing, capable and responsible enough to oversee the pet for the long term. Special accommodations could be needed if a pet has a long lifespan or special needs. Make a list of all pet-care costs, taking into account the pet’s expected lifespan. Add up the annual expenses for veterinary care, any medications, monthly grooming, food, and toys as well as a contingency for unanticipated expenses. Next, determine how those funds should be set aside. Some options include a trust, a bank account controlled by an executor (or by the guardian) or life insurance. Keep in mind that the beneficiary of a life insurance policy can’t be a pet, but it can be a trust that includes provisions for a pet’s care. Write down clear and detailed instructions on how you would like your pet to be cared for. For example, you can make a list that includes the food your pet eats, how often a day they’re fed, the contact information for your preferred kennel, and the information for any pet-insurance policy as well as his veterinarian contact info. Once the basic decisions about a pet’s care have been made, owners should formalize things to help ensure that their wishes are carried out. Some people create a pet trust for their animals. Others provide for pets in their wills. Both options require assistance from a lawyer. An owner who goes this route should make sure someone can step in immediately to care for the pet since executing a will usually takes some time. Once the administration of an estate is wrapped up, the will’s executor has no continuing obligation to ensure the pet’s well-being. Whichever option you decide, estate planning attorney Chuck Bendig is here to help. The idea is to protect the ones you love, whether they’re human family, furry or feathered.